We have pursued product creation. Experience and know-how of experienced technicians is a valuable asset to be the cornerstone of our current company. Always adapting to changes in the times, the factory where the latest loom sounds vigorously is the largest scale of the production area. 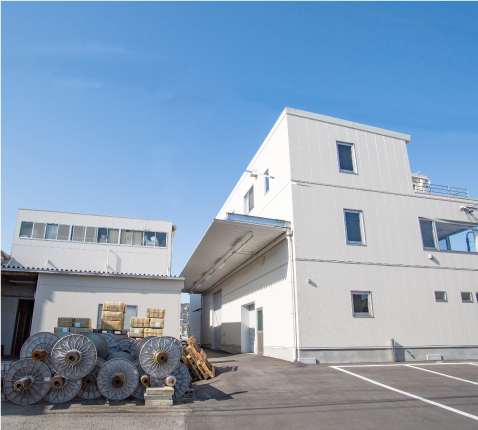 Nakamori is consistently manufacturing at its own factory. Total response capability that can be done up to and the work process that can not be done by machine depends on skilled staff's "hands of man"
It is also one of the strategies to raise. I think that the story nature that overflows in such a scene is goodness of Nakamori. 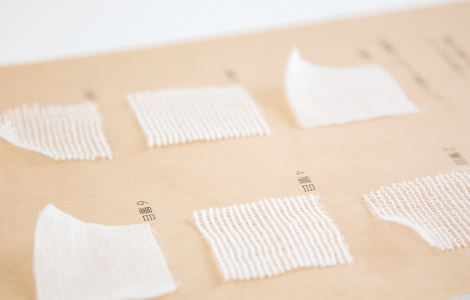 I am thinking that delicate "monozukuri" unique to Japanese craftsmen is a true Japanese quality that Japan boasts of the world.
. Nakamori will spare no effort to maintain the quality of "Made in Japan" full of such stories. We are committed to making products with our customers' hearts. Many people are loved by many people. I want to let it · · such affection of mother is the same anywhere in the world. 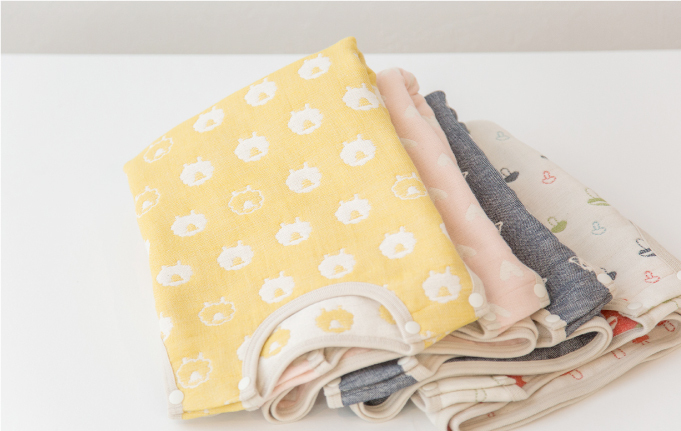 Baby goods made in Japan are evaluated all over the world due to their quality. 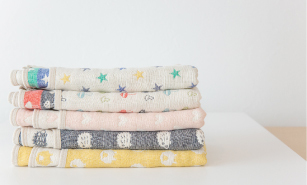 We woven a soft and safe soft gauze. We will provide know-how from you. We are constantly developing to the industry. Connecting Japan and the world, high-performance, high-quality "Made in Japan" It attracts attention from buyers, and it is supported. In the past exhibitions, we received high praise from companies around the world, We have received many orders and orders. 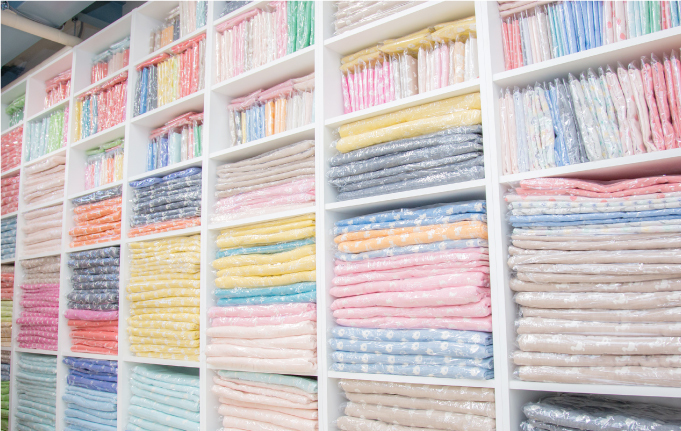 Fabrics and fabrics mainly made of gauze, sufficient for boasting "MADE IN JAPAN"
Please leave it to our company. In our OEM production business, we have a detailed production management system and our customers We are responding to the needs. Constructing an integrated production system in the textile manufacturing industry where division of labor is commonplace. In cooperation with cooperating suppliers, mainly in our own factories, we will strive to ensure quality control thoroughly It is. Please contact us as soon as possible to obtain samples and quotation Presentation. We will respond flexibly to lot, delivery time, cost. It is a wish of everyone's mama to have babies feel good and use secure materials. Underwear and towels want to pay attention to materials in particular. 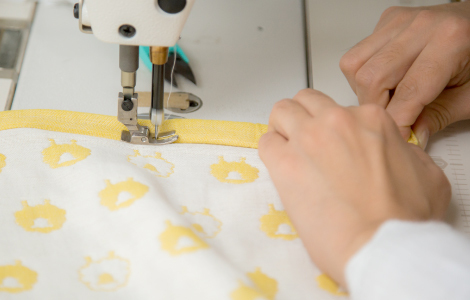 From such a feeling, fuwara's manufacturing was born. Certified world standard safety standard "Eco Stick Standard 100"
It is a fiber safety certificate given only to products that have cleared to the world's top level strict inspection. 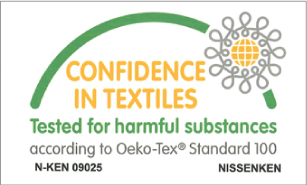 Ecotex standard 100 is a certificate given by the prestigious Ecotex international community among the worldwide safety certification body of textile products. It is necessary to pass strict inspections. 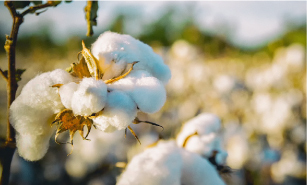 Quality control of cooperating companies and related vendors is asked, and certification can be obtained unless certain standards are satisfied in all materials and processes involved in manufacturing not. It is a worldwide unified test and certification system applied to raw materials, semi-finished products and final products at all processing stages of fibers. It helps smooth transactions among companies. Today, double weave and triple weave multi-woven fabrics are relatively easy to produce, and they are seen in the market as well. Although it is, it is now completed up to "Yaegyo Weave". It is developing as it develops. Continuing to put out, we are building our own position without competing with other companies. For details please see the business contents. Multiple weave gauze, table cloth, curtain land etc. Tsushi Nakase established Nakamori limited company. Nakase assumed office as the new president. Thank you for visiting Nakamori's website this time. 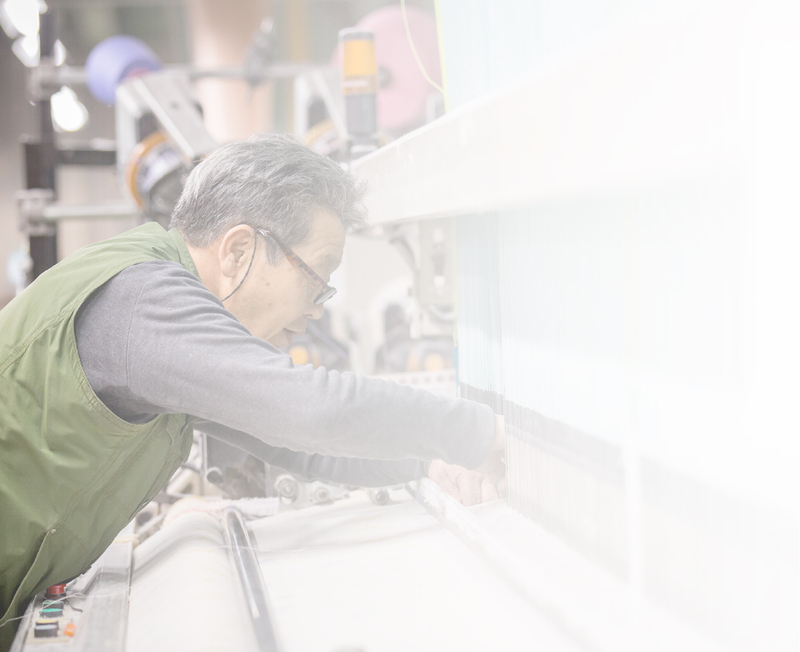 Please feel free to contact us if you have any questions or concerns about things and services related to the products provided by Nakamori. The person in charge will correspond. Please acknowledge beforehand because there is a case where you will receive some time depending on the content you received before replying. Please be sure to fill in for items with indispensable indications. Requests and questions about OEM production, such as "I want to develop original products" "I want to make products with different colors" "I want to sell a little bit of design", etc. Also, "I want to buy the products on the website! Inquiries about our original products, such as "Please contact us by phone or e-mail. Please do not hesitate to contact us. Except for exceptional items stipulated in the Personal Information Protection Act, we will not provide and disclose to third parties without obtaining their consent. Copyright 2018 Nakamori. All rights reserved.